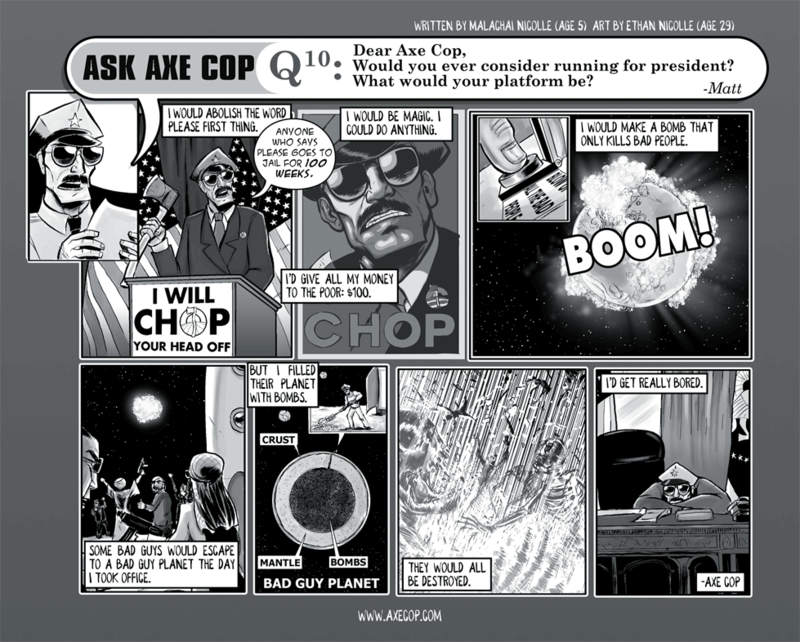 What would Axe Cop do if he were President? 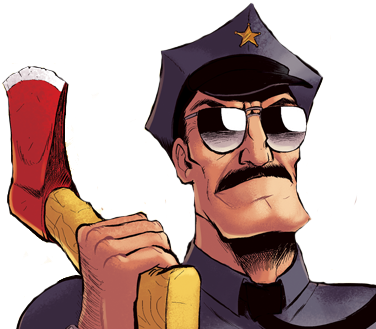 Why did Matt change his name to Keith in the animation? This is pretty close to the origin of Scientology. He would gather all the Big Government Politicians together and chop of their heads!! He’ll real ease a DVD of his tele-visual exploits!! !